Hey guys it's connorv02 and imax333PM and we want to tell you about the 1.4.2 Gun Mod! The gun mod lets you have a gun in minecraft!!! There are guns like pistols, machine guns, sub machine guns, rifles and more! There is a server that lets you use the gun mod! 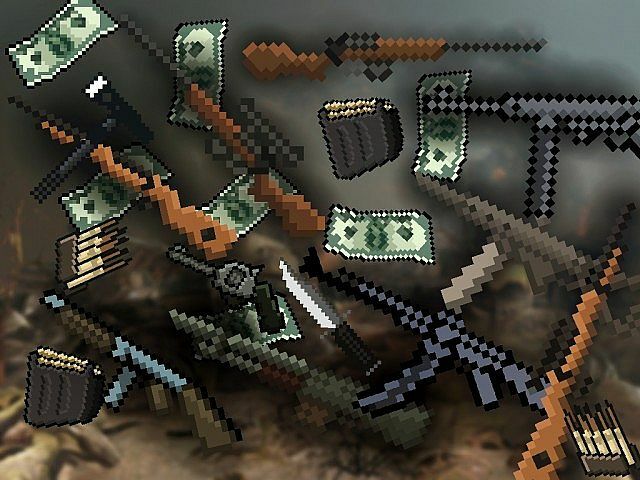 Click this link to get the gun mod. PPPPPPPPPPPPPllllllllllllllllllllllEEEEEEEEEEEEEAAAAAAAAAAAAAAASSSSSSSSSSSSEEEEEEEEEEEEE diamond because we are only level 2!! he's level 39 no diamond and there is no download no DIAMOND!!!! guys this is fake and he just downloaded a picture of the internet don't belief it.